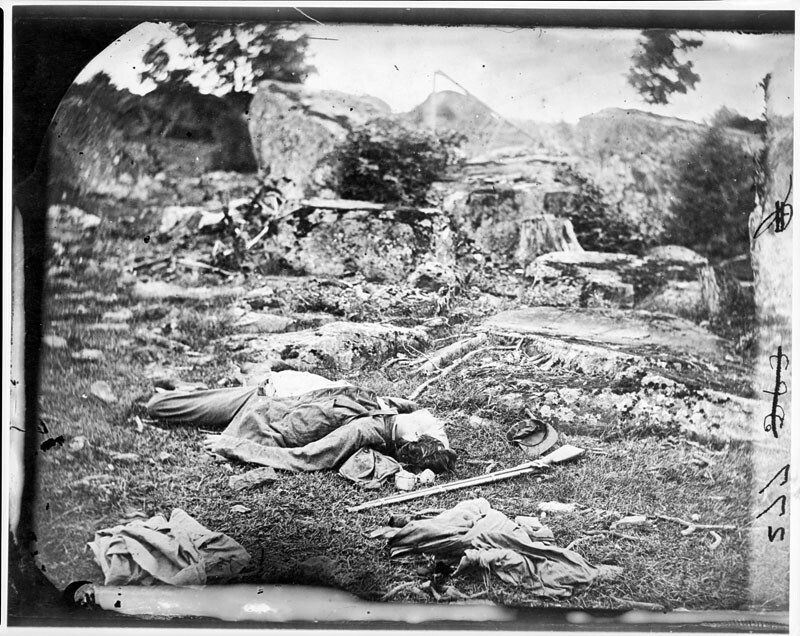 Alexander Gardner and his assistants took a series of photographs showing the aftermath of the Battle of Gettysburg. These photos were published in Gardner's Photographic Sketch Book of the Civil War, a work which proved very influential in defining the image of the Civil War for many Americans. But in 1961 Frederic Ray, art director of the Civil War Times, noticed that two of the photographs, taken in different locations on the battlefield, appeared to show the same corpse. 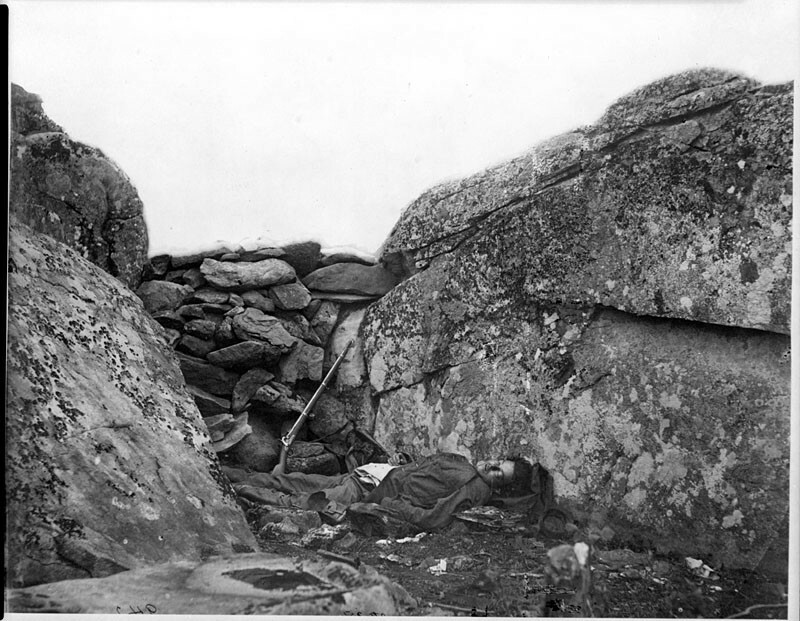 In one scene (top) a Confederate soldier's corpse lay on the southern slope of Devil's Den. Gardner had captioned this photo "A Sharpshooter's Last Sleep." But in another scene (bottom) the body had moved forty yards to a rocky niche. Gardner captioned this photo "The Home of a Rebel Sharpshooter." Apparently Gardner had moved the soldier's corpse to the rocky outcropping for the sake of creating a more dramatic image. He even turned the soldier's head to face the camera and leaned a gun against the rocks. Although Gardner identified the soldier as a sharpshooter, the weapon beside him is not a sharpshooter's rifle. It was probably a prop, placed there by Gardner. Moving the Body, Hoaxipedia article. The Case of the Moved Body, Library of Congress. Ray. F. (Oct 1961). "The Case of the Rearranged Corpse." Civil War Times. 3(6): 19.